Warm, hearty meals are a staple during the cooler months. Going beyond just making freshly steamed rice, new rice cookers offer a host of other practical features. Time-poor cooks can create a variety of meals and sides quickly and easily, from perfect sushi rice to delicately steamed fish. We’ve summarised our favourite recipes made using Kambrook rice cookers. What are some of the quirky dishes you’ve made? Tell us about them in the comments section below. Popular grains like quinoa and brown rice can be difficult to prepare well. Great as a nutrient-dense lunch or light dinner, try the chicken and sweet potato quinoa salad or beans, peas and broccolini quinoa salad. Ingredients can also be substituted with what’s in the pantry or fridge, making for a quick and easy meal. Check out our tips on how to cook quinoa on the blog. Believe it or not, rice cookers can cook perfectly steamed BBQ pork buns, for a delicious snack to provide an oriental flavour hit for your tastebuds. For an easy-to-prepare mid-week meal, try gently steaming seafood and vegetables using a steaming basket. 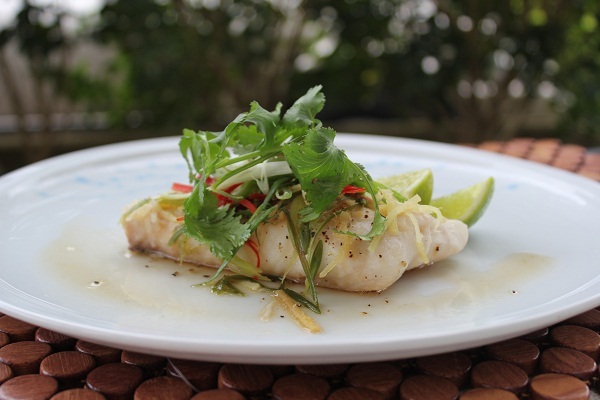 In as little as half an hour, create steamed fish with ginger and shallots the entire household can enjoy. Fancy something sweet? How about a vanilla risotto, made with the creamy goodness of Mascarpone and topped with poached fruit or berries? Using Arborio rice, it’s so simple to prepare with a Kambrook rice cooker on hand. New to the range of rice cookers is the Kambrook 10 Cup Rice Master. Priced at just RRP $49.95, it’s a versatile and affordable staple for any household.